I never go out without sunscreen because my skin hates the sun. Should I stay under direct (not-so-direct even) sunlight for about 10 minutes sans protection you get a pudgy lobster (me, duh) whose skin will then peel over the next couple of days. 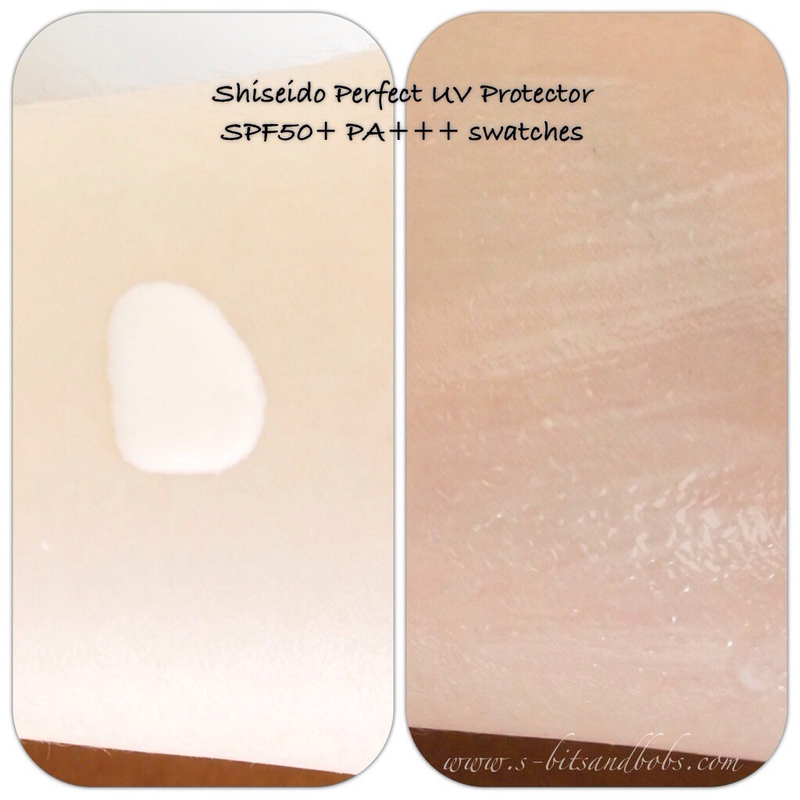 In comes Shiseido’s Perfect UV Protector! I’ve been using Kose’s Medicated Sekkisei SPF50+ for over half a year where I went through 3 bottles of it until I ran out when I was home sometime in March. I was going to repurchase Kose’s sunscreen because it provided good enough protection and I never broke out from it but decided against repurchasing it because Mum and I were… sigh snubbed by Kose’s SA. I’ve got this bad habit (blame it on the b*tch in me) where bad customer service will put me off purchasing anything in any store regardless of how much I love the product. Then we were walking about in Isetan KLCC’s beauty hall when a SA from Shiseido approached us and asked if we needed any help. Needless to say, I took the plunge and tried this out! Shiseido sells quite a few different sunscreens and the Venyce, the SA kindly pointed out the different sunscreens and their varying uses which was really helpful as I just couldn’t decide on which sunscreen to choose! I’m a huge fan of runny textured sunscreens as cream textured ones just irritate me and I detest that sticky feeling one gets when wearing thicker sunscreens. I tested both products on my hands in store and I found that the Perfect UV Protector dries to a light, powdery finish whereas the Urban Environment Oil-Free sunscreen is more moisturising (read: oily) so I decided to go with the former. With sunscreen, I never wear less than SPF50+ on my face when I’m out and about but am a little more slack with my body where I normally slap on either SPF30. 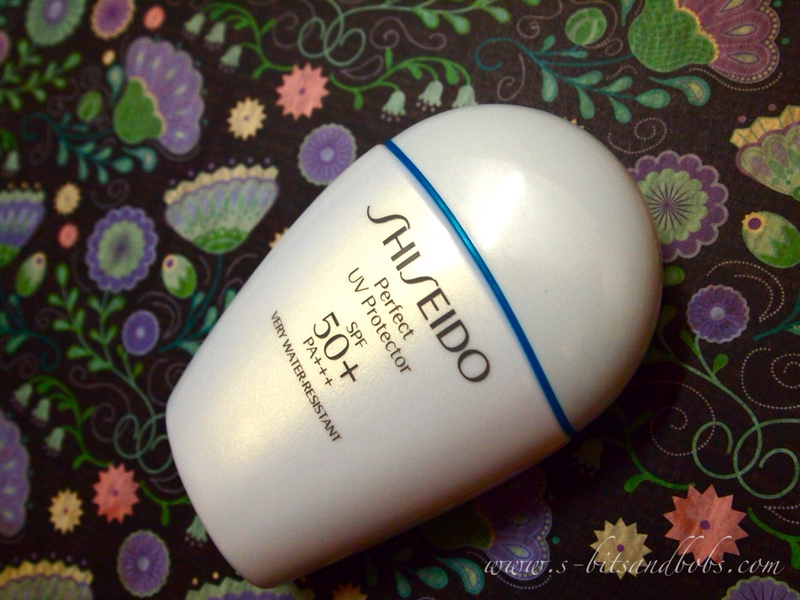 This Shiseido Perfect UV Protector also happens to be very water resistant but it is recommended that sunscreen is reapplied frequently especially if doing sports / swimming to ensure you get maximum protection at all times. Me? I never bother reapplying sunscreen especially if I’m out and about and wear make up because… Who has the time to remove make up, reapply sunscreen and reapply war paint after when they’re out? Hats off to you if you actually do! The product’s dispensed through a spout and there is a slight pinkish tint to the sunscreen which I personally feel helps brighten the complexion. This spreads evenly over the skin and dries relatively quickly. There is a slight alcohol scent that dissipates in a jiffy otherwise my nose does not detect any other fragrance in the sunscreen. I have worn this through long road trips, many a shopping trip while in Kelantan where we hopped from bazaar to bazaar sans brolly and I did not burn / tan. Also, I find that my foundation stays on longer when wearing this as a base compared to Kose’s where my foundation tends to slide off easily. On some days I can get away without dusting a layer of powder over foundation because this product’s just that good! I’m glad I brought a spare bottle with me as I’m squeezing the remaining drops out of this current bottle. After 3 months of everyday use where I apply the sunscreen liberally over my face and neck, it’s RM126 well spent. Has anyone tried this or other Shiseido sunscreens? Next Post Keeping my skin in check with Elemis’ Tri-Enzyme Resurfacing Facial Wash and Balancing Lavender Toner. I love this! And since great minds think alike, I scheduled a sunscreen post for tomorrow too. that will be good for you to reapply anytime!